“Diary of a Wimpy Kid 4” is now filming and there is a casting call out in Atlanta for kids. The movie began filming some months back and is still looking to cast small roles / extras. Casting directors are looking for locals who would love to work as paid background extras and have a flexible schedule that will allow them to work on set during the work week. Rose Locke Casting of Georgia has just released a list of upcoming casting needs. The newest Diary of a Wimpy Kid movie is now filming the 4th installment of the series in the Atlanta area. The movie series is based on Jeff Kinney’s illustrated series of children’s books. The original “Wimpy Kid” movie was released in 2010 with 2 other Wimpy Kid movies following in 2011 and 2012. This newest addition is being called “The Long Haul” and is based on the book of the same name. It’s been 4 years since the last “Wimpy Kid” movie and the original Greg and Rowley have both grown up. 20th Century FOX held a worldwide talent search this last spring. A few months back, an open casting was being held online to find child actors to take over the 2 lead roles of Greg and Rowley. “Diary of a Wimpy Kid” follows a young boy as he enters middle school. At the center of the story is Greg and his best friend Rowley. 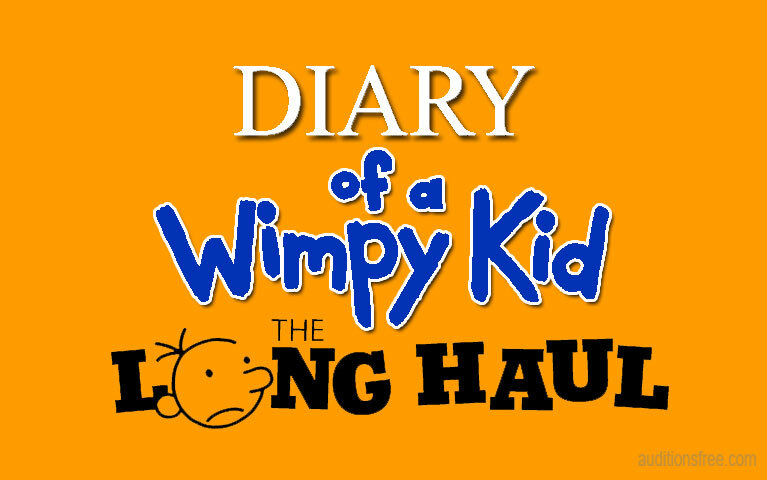 In the book, Greg keeps a diary of his trials and tribulations as he maneuvers through the tricky middle school scene. The story is told from Greg’s point of view. According to the movie’s IMDB page, Zachary Gordon is cast to play Greg with Robert Capron joining him as Rowley. 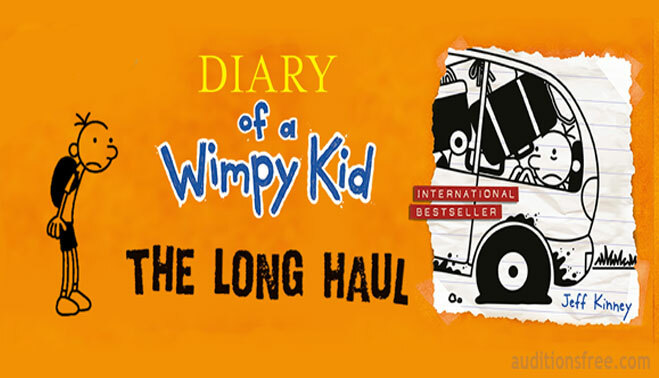 Rachael Harris, Steve Zahn, and Chloë Grace Moretz are all returning for “Diary of a Wimpy Kid: The Long Haul.” Devon Bostick, who originally played Greg along with his twin bother, will also be returning to the film, however, he will now be playing a sibling, Rodrick Heffley. Please note that you must be local to the Atlanta area in order to be considered. If you fit the description then please email Extras@RoseLockeCasting.com. Include 3 pics (head, body and profile) age, ht, wt and all contact info. Sorry, it’s supposed to say I’m 11 years old. Also, I am a female and Caucasian. I’ve always loved to act since I was little. My dream is to be on TV. I have been in 3 professional plays, school plays, and a youtube channel with over 100 subscribers where I act and do skits. I have read all of the wimpy kid books and watched the movies. I have brown hair and blue eyes. My passion belongs to acting, I’ve had experience with on camera and on stage acting, and I have read all Diary of a Wimpy Kid books! I have read all “Diary of a Wimpy Kid” books, and acting is my passion. I need this part, I’ve been wanting to act since I was 5 but this might be it. Please I am interested an live close to stone Mountain! What does 64/8 and 120/8 mean exactly? The pay for extras is 64 dollars for 8 hours and the other role is 120 dollars for 8 hours. Hi! Very interested in my 13 year old son Stacey Bowen Jr. being an extra and or having a part in this. He is such an awesome kid…..from brains….to looks…to personality! brown eyes, brown hair, around 5’6 and 100 lbs. Hi, my name is Clare Gundersen, and I recently auditioned for a Corny Kid and Drummer Girl. When will the cast be announced? There is no announcement. These are extras roles and only those that are cast will get notified by the casting directors. I have experience working as a server, busser, hostess, etc. I’ve held a lot of restaurant based jobs up till now.